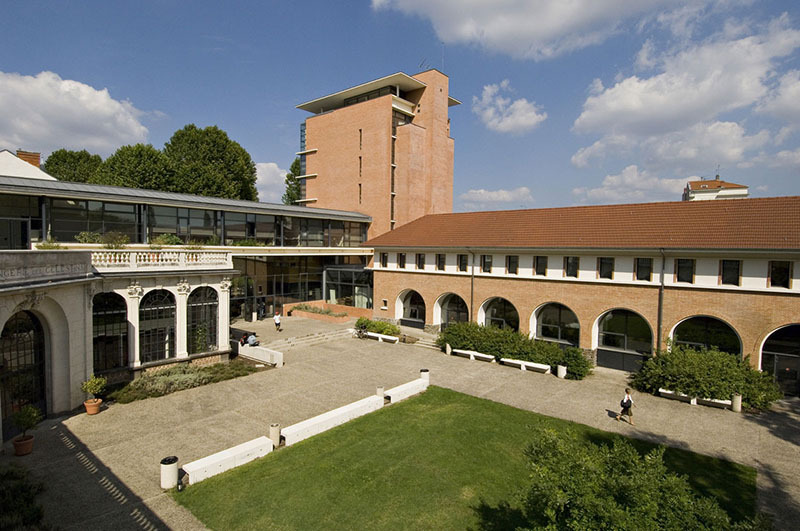 Our partner school in Vichy, CAVILAM, is a private higher education center, located in the heart of the city. With more than 5,000 students per year, from more than 120 different nationalities, this school has a very international atmosphere. From the school campus, students can move around on foot or by bike to any place in the city: train station, cinema, banks, shops, restaurants or accommodations. Previous evaluation of the student’s level through an oral and / or written level test to place him in the appropriate class according to the result. Normally, this test is done first day at school. Absolute beginners (= without any knowledge of the language), may not need to perform this test. The intensive course consists of 26 lessons per week. You will have 18 lessons of general French, plus 8 weekly lessons dedicated to a specific topic (to choose between: listening, written communication, vocabulary, grammar, civilization, phonetics, or preparation for the DELF / DALF exams). In this way you can advance in a particular discipline. All studio's have a bathroom and own kitchenette. Rooms have a bathroom and own kitchenette. In 2019 the school is closed on the following dates:01/01/2019, 22/04/2019, 01/05/2019, 08/05/2019, 30/05/2019, 10/06/2019, 01/11/2019, 11/11/2019, 25/12/2019. Missed lessons due to bank holidays will not be refunded or rescheduled. This course combines 18 or 26 group lessons with 6 private lessons per week. During private classes you can deal with topics that are of interest to you or dedicate the classes to a specific aspect of the language. The individual course of 20 private classes is ideal to cover a particular need in the language. The program is taught based on your knowledge, interests or profession. The course for non-native French teachers in Vichy is a 2-week immersion program for teachers who want to improve their knowledge of the French language and increase their teaching skills of this language as a foreign language. If you are a teacher in a bilingual institute and you teach a subject in French, this course is the perfect choice for you! The course "Enseignement d'une matière scolaire en la langue francaise" provides the knowledge and skills necessary to identify the needs of the students, create pedagogical procedures of DNL methodology (CLIL). Every Monday morning there is a conference on different topics (teaching and didactic of CLIL, culture and intercultural approach, etc.). Two "discovery" sessions per week are offered to discover educational materials and learn new teaching practices. Every Wednesday afternoon, participants are offered a meeting with the editors to hear the latest news of the CLIL methodology. Upon arrival, students will take a level test and join an international class corresponding to their language level. Each week, the participants follow the units on the agenda of the language improvement course. In the summer period, teachers can participate in the "a la carte" teacher course, with a flexible duration of 1 to 10 weeks. This course combines different modules with each other; depending on the dates you wish to take the course, it is possible to choose a specific module (therefore, always contact StudyTravel to verify the dates). A week of "A la carte training" comprises a total of 31 lessons per week (23 real hours per week). Participants choose 2 modules per week: one module in the morning (16 lessons / week) and one module in the afternoon (total 9 lessons / week). Course available between 06/24/2019 - 08/30/2019. Depending on the dates you choose, it is possible to combine several modules (please always contact StudyTravel to verify the appropriate dates). Combining your course with accommodation in a local French family is a great way to practice the language and learn the culture of this country at the same time. You will stay in a single room with bed and breakfast or half board (breakfast and dinner). Laundry, bed sheets and towels are included in the price. Staying in the residence is an ideal option for those who prefer to be independent. You will have a single room with a small kitchen, bathroom and private toilet (no TV, Internet is optional). Bed sheets are provided, but towels are not. The studio apartments are very comfortable flats for one or two people. This accommodation includes: bathroom, kitchenette, TV, Internet access (subject to availability). Bed sheets are provided, but towels are not.